Every book I write gets a playlist. It’s the music I listen to when I’m writing the story. Music that inspires me. Music that follows the characters’ growth as they take their journey toward love and a happier life. 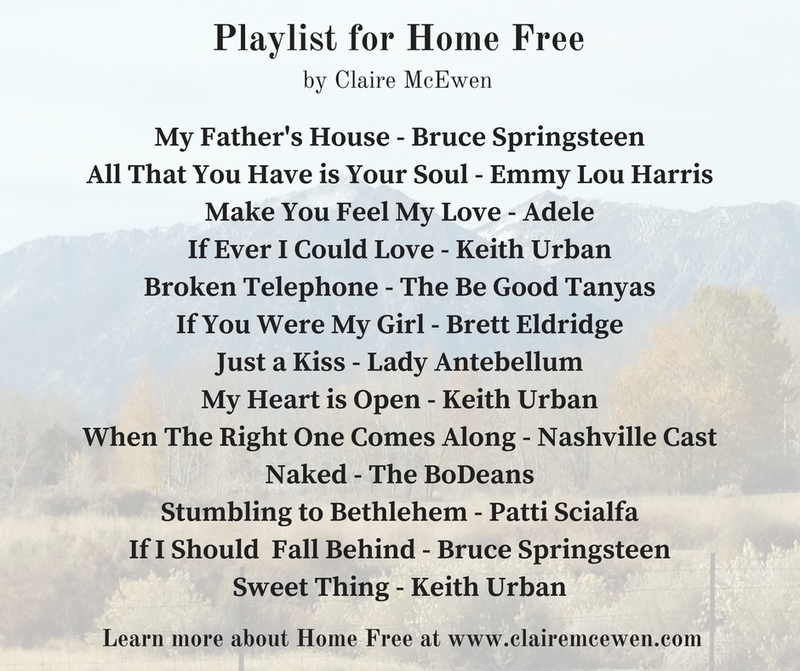 Home Free is such a moving story, so I wanted to hear music that felt straight from the songwriter’s heart. Here is what I chose. To me, all of these songs reflect Mandy and Arch and all that they went through as they fell in love.